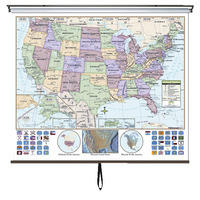 The Kappa Maps United States Wall Map, measuring 64 x 54 inches, helps the students to easily identify political boundaries and national capitals. Landforms are also included and identified by shaded relief. 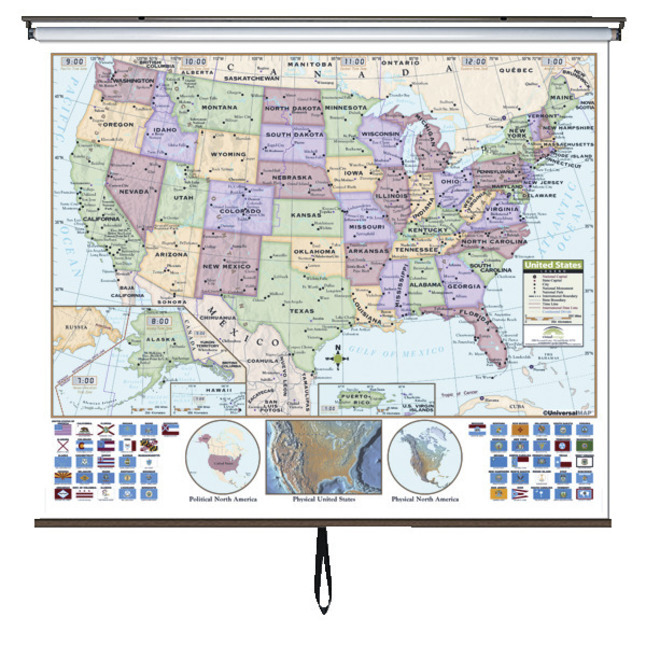 Laminated map for all grades is multi-colored and is mounted on a spring rollers with backboard making it perfect for classroom use.